When a patient’s teeth are crooked, braces provide a permanent solution. After treatment with braces, patients enjoy straighter teeth and a more comfortable bite. The team of dentists at Edgewater Dental Group, serving patients from Chicago, Edgewater, Rogers Park, and Andersonville, Illinois, are experts in braces. To learn more about their competitively priced braces, call to make an appointment or book an appointment online. Braces are orthodontic devices used to improve the alignment of a patient’s teeth over time. The dental team at Edgewater Dental Group often use braces in combination with retainers and spacers for patients of all ages. In addition to traditional metal braces, the dental team offers Invisalign® clear plastic aligners. When should patients get braces? Children, adolescents, or adults can receive orthodontic treatment. For young patients, the age at which treatment should begin varies and children will be referred to the orthodontist. Since metal braces can affect your appearance, your Edgewater Dental Group dentist may recommend Invisalign® as an alternative to braces for both children and adults. How long do patients need to wear braces? Every patient’s case is unique, so the duration of treatment will vary. While some patients may wear braces for only six months, others may need to continue treatment for several years. Before a patient begins orthodontic treatment, their dentist is able to provide a more detailed estimate of the expected treatment duration. You may experience some discomfort at certain points during the treatment process. For example, some patients experience soreness when their dentist adjusts their braces or puts a new device in place. However, over-the-counter medications quickly alleviate this pain. If sharp edges on the braces come into contact with your gums or cheeks, you can use wax to prevent irritation. Most patients who undergo orthodontic treatment will need a permanent or temporary retainer. The purpose of this device is to hold the teeth in place and prevent them from moving back to their former positions. While temporary retainers are removable and worn at specific times, permanent retainers are cemented to the back of the teeth where others won't see them. The cost of braces varies based on many factors, including the number of appointments, duration of treatment, and treatment methods used. 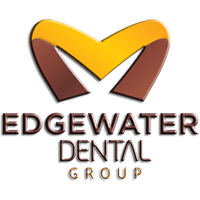 The Edgewater Dental Group team offer competitive pricing for braces and Invisalign. They provide each patient with a detailed estimate before beginning the treatment process. How should patients care for their teeth while braces are in place? You should continue to brush and floss daily while wearing braces. You should also avoid any foods that could damage the braces, such as gum and sticky candies. When you have braces, it’s especially important to attend all of your regular checkups and cleanings. To learn more about competitively priced orthodontic treatment with braces or Invisalign, call Edgewater Dental Group or book an appointment online today.